Whether their boots are in the lumberyard or spiked into a tree high above the ground, logging workers know the value of the trees they harvest. The timber they take provides the raw material for hundreds of products for home and business use. Logging workers include several categories: Fallers cut down trees with chain saws and axes, then cut them into measured lengths. Logging equipment operators use heavy machinery for the same tasks. They move the logs to be loaded for transport, and pull stumps and clear brush if required. Log graders and scalers inspect logs to estimate their value. They enter data about trees on hand-held devices, and grade the lumber in the yards where logs are collected before shipping. Logging worker supervisors have years of experience in the field. They train workers, assign jobs, and solve on-site problems to ensure compliance with regulations. Working around falling trees and heavy equipment, logging requires a balance of quick, intelligent decision-making and an appetite for physical work. Workers spend all their time outdoors… often climbing and lifting… sometimes in poor weather. 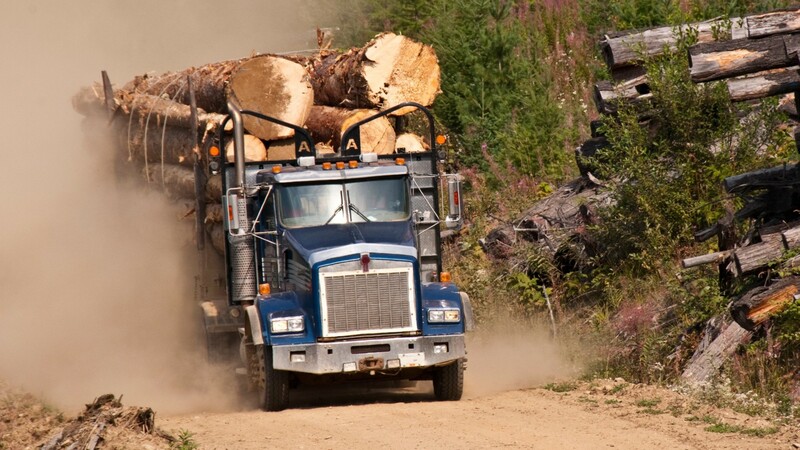 The hazards of logging require rigorous safety practices and equipment. Work is usually more available in warmer months, and may be located in remote, isolated sites. A significant number of logging workers are self-employed. While many logging workers have a high school education, almost all learn on the job. See more details at O*NET OnLine about logging equipment operators. Logging Equipment Operators by U.S. Department of Labor, Employment and Training Administration is licensed under a Creative Commons Attribution 4.0 International License.